In the wake of ads from major advertisers being shown alongside videos from hate groups and terrorists, YouTube has decided to revamp the way their creators make money. In a peculiar move, YouTube now says that in order for their content creators to be able to monetize their videos, a channel would need at least 10,000 views before being considered for YouTube’s Partnership Program. After a channel reaches the required views, YouTube then reviews the content of the channel to make sure it fits their community guidelines. YouTube is saying that this will help keep major advertisers off of channels that consist of stolen content. 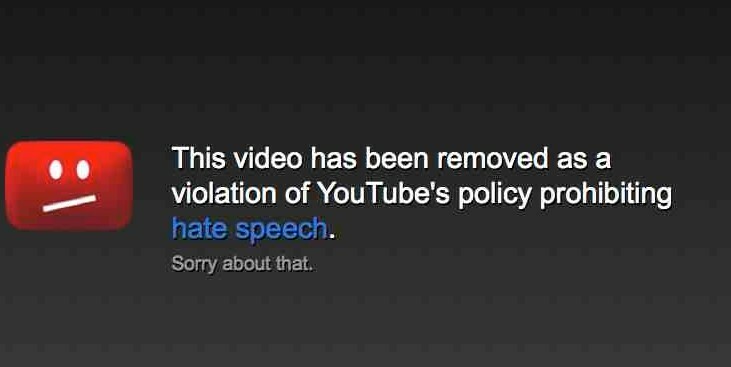 However, one can safely assume that the hate speech that collects on the video sharing platform has to have had a major influence on YouTube making this decision. While this new policy will more than likely please advertisers it doesn’t do much to stop the problems of hate speech and stolen content. Those channels will continue to persist whether or not there’s advertising on their videos due to the fact that they’re based more on a philosophy than a money-making strategy. Who this will really hurt are new creators. It’s already difficult for creators to make a name for themselves in a space that’s already crowded with personalities that are pulling in millions of views. Someone who may have a unique perspective, or talent, or voice that could benefit from YouTube, may quit out of frustration if they don’t meet the required number of views to even be considered for payment. When it comes to advertising, it’s usually the consumer that gets hurt worst, but then again there is the modern adage that if you’re using a platform that’s free, you’re not the customer, but the product. Whether you want to admit it or not, the internet runs on advertising. Most of the sites we use that we consider free are actually built on advertising revenue from Facebook all the way down to your local news site. That’s why even an internet mammoth like Google stands up and takes notice when it loses major advertisers. In the wake of YouTube’s recent hate speech controversy where advertisers complained about their ads showing up on or near hate speech videos, both Verizon and AT&T have pulled their advertising dollars away from Google. While this move will cost Google hundreds of millions of dollars, AT&T and Verizon’s decision to withdraw their advertising dollars may have less to do with hate speech and may have more to do with business. Many tech insiders have speculated that this move may mean that Verizon and AT&T are looking to launch their own YouTube competitors. One could also assume that each company would give traffic priority to their own respective platforms over YouTube. While there are many video streaming sites and apps out there, none have captured the global imagination more than YouTube. They were the first and have remained the king of the mountain since. However, not every king stays king forever and while YouTube has shown some major flaws in recent days are Verizon and AT&T big enough names to take on YouTube as they’re basically two Davids against YouTube’s Goliath? Probably not, so even with all their flaws expect YouTube to continue to thrive. When you have a virtual monopoly on user-generated video content like YouTube does, it’s difficult to please everyone all the time.Recently, YouTube found itself at odds with two groups that are very important to them, content creators and advertisers. The first controversy stems from the fact that some major advertisers didn’t like have their ads played before, or displayed next to videos that promote hate speech. While YouTube’s parent company, Google, has promised advertisers greater tools to limit where their ads are displayed, a few major advertisers have already pulled their ad dollars from the video platform. In the second controversy, many of YouTube’s LGBTQ content creators found their videos being restricted and filtered out as not being family friendly even though no explicit subjects were being discussed. In a statement YouTube said that it was due to a glitch in a parental control mode that it added to the service in 2010 and promised to do better. However, it seems like the damage had already been done when it appeared that YouTube was targeting such a specific part of its user community. While no company is perfect, both of these controversies show that Google still hasn’t ironed out all the bugs in YouTube even after having purchased it over a decade ago. With the cracks in YouTube’s armor that its shown over the years it’s surprising that a large competitor, for example Facebook, hasn’t tried launching its own video service to try to pull away creators from YouTube. Maybe that time is now, or at least soon. YouTube offers new TV service. What’s the catch? YouTube recently announced that they would be getting into the broadcast TV game by revealing their new service called YouTube TV. Launching later this month, YouTube TV will be offering live streaming of the four major broadcast networks along with some other cable channels for $35 a month. A major component that separates YouTube TV from its competitors is that it will be offering unlimited cloud DVR storage to record your favorite shows. That’s not to say that YouTube TV doesn’t have some drawbacks. Among some of these drawbacks is the fact that it’s missing most of the popular cable networks. Channels like AMC and Comedy Central will not be available through YouTube TV. Another drawback is that YouTube TV will not be available on all devices at first. At launch the service will be available on mobile devices and Google’s Chromecast, but if you use a device like a Roku or Apple TV you’ll be waiting a while to get the service. The price also seems a little steep for cord cutters. While $35 is much cheaper than most cable plans it’s a lot more money than successful streaming services like Netflix and Hulu that most cord cutters already use. Lastly, it all comes down to your personal use. If you can live with the small amount of channels being offered by YouTube TV then it might be for you, plus it has the backbone of Google behind it since they own YouTube. That could provide a more reliable stream than most other streaming services.